Rotary Kokoda Beach Classic Gold Coast 2017 | JustRunLah! 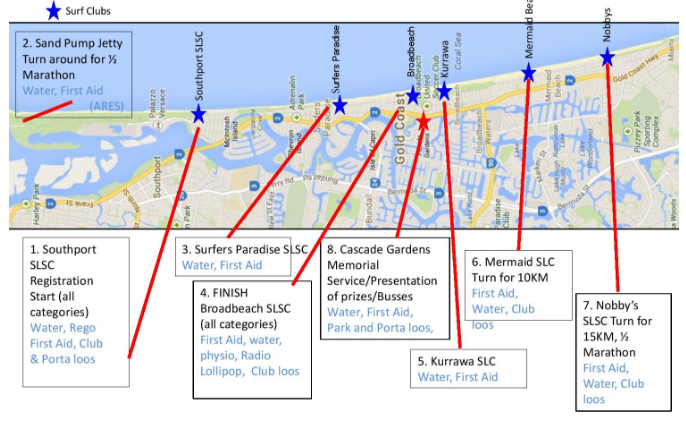 The Rotary Kokoda Beach Classic is run on the beach over 5km, 10km, 15km and half marathon between the Southport Surf Life Saving Club and Broadbeach Surf Life Saving Club. There is also a 5km community walk. An initiative of the Rotary Club of Broadwater Southport, the event focuses attention on those who sacrificed so much on the Kokoda Track in 1942 while it raises money for Legacy, Soldier On, and the Nippers of the Gold Coast. The Rotary Kokoda Beach Classic is held the Sunday after Kokoda Day (August 8th) and replaces the former Rotary Kokoda Memorial Walk that was held from 2005 to 2012. “It’s an event for every person in the community, whether they enter as an individual or in a team, with a distance for every age and fitness level,” Mr West said. “We want the Classic to become an iconic Gold Coast happening with maximum attention given to the World War II Kokoda campaign and the selfless deeds of all past and present Australian Servicemen and women." The event culminates in the prize presentations and a memorial service at the Kokoda Memorial Wall at Cascade Gardens later in the morning. The Classic has the support of the Gold Coast City Council and its Lifeguard Service and the Rotary organiser is Brigadier (retired) Rod West, CSC, who was formerly Commandant at the Kokoda Barracks Land Warfare Centre at Canungra.